Any zoologist will tell you that that is simply untrue. But the veracity of the film’s claim is irrelevant. It is a symbol. Or is it? Here we see that Ebert’s law of symbolism does not inhibit the interpreting of the film, but instead provides its very key. If a cigar is sometimes just a cigar, an image is sometimes just an image; it exists solely for its own sake. And by that logic, a symbol need not symbolize anything except for itself. El Topo is a film of limitless mysteries, enigmas, and questions. The answers, if they exist, are immaterial. 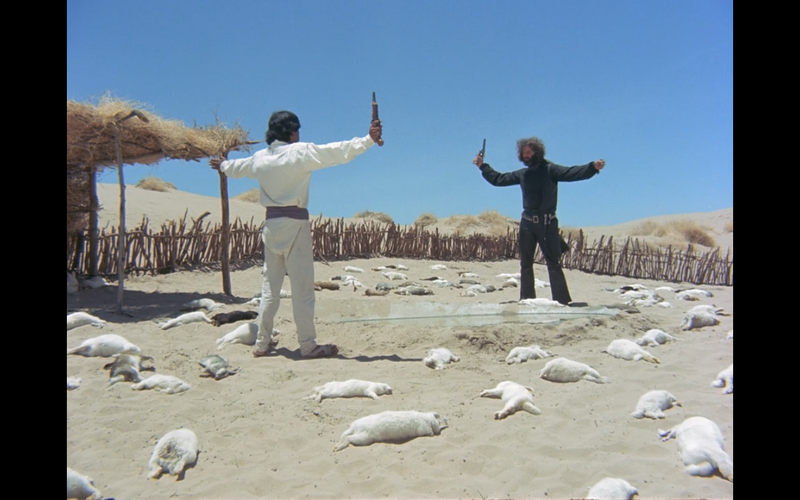 Armed with this knowledge, El Topo can be approached as the genius piece of filmmaking that it is: arrestingly beautiful, grotesquely violent, starkly atmospheric, and unapologetically, undeniably itself. The film plays like a psychedelic vision quest courtesy of Sergio Leone and Ruggero Deodato. It opens with the eponymous El Topo (played by Jodorowsky) riding in the desert with his naked son. Having turned seven years old, he must prove himself a man by burying his favorite toy and a picture of his mother. Afterwards they come across the remnants of a town visited by a slaughter of biblical proportions: bodies and disemboweled animals litter the streets, literal rivers of maroon blood soak in the oppressive heat, and a chorus of unseen birds squawk into oblivion. 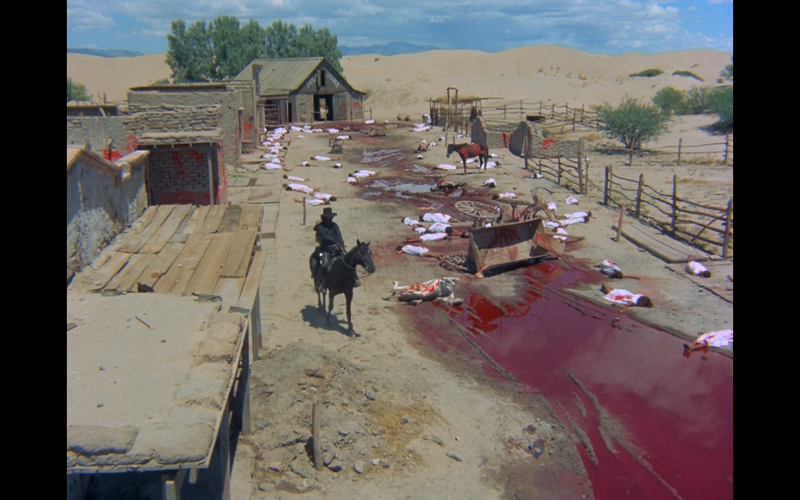 After castrating and killing the colonel responsible for the massacre, El Topo abandons his son with a group of monks and rides into the desert with a young woman he names Mara. To prove his love for Mara, he sets out on a journey to find and kill four legendary gun masters in the desert. The first is a blind ascetic, half Christ figure and half Indian yogi. He is killed through treachery and his grave becomes choked with honeycombs. The second is a wandering gypsy fortune-teller living next to a stream with his mother and pet lion. He is killed through misdirection and is buried with his mother beneath a pyramid of tiny, geometrical sticks. 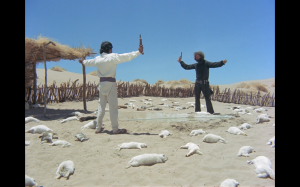 The third is a Latino rancher whose animals begin to die at El Topo’s approach. 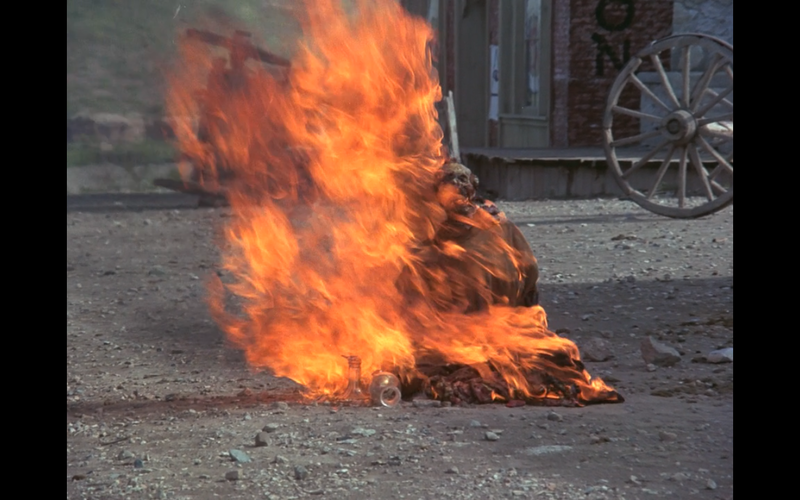 He is killed through luck and his cairn of dead rabbits bursts into flames. And the fourth is a half-mad, half-naked hermit who catches bullets in a butterfly net. He kills himself to teach El Topo a final lesson. 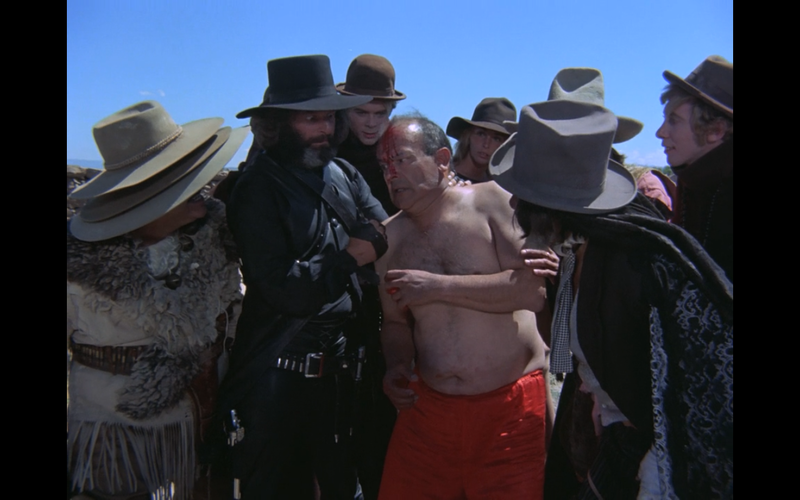 By the time the second half of the film begins, where El Topo is resurrected from death after 20 years and joins forces with his now grown son to free a tribe of incestuous dwarfs from their mountain prison by digging them a tunnel to freedom, the audience has come to accept that the plot of El Topo is of only secondary importance. Here is a film that communes with forces both sacred and blasphemous, both esoteric and exoteric. But above all, it is a film of symbols and images. A bandit uses high-heeled shoes as target practice. A lamb hangs crucified from a stone tower. Water erupts from stones in the desert, eggs from beneath the sand, and still the mole digs and digs and digs and dies. Happy Thanksgiving: TYF Writers Share What/Who We’re Grateful For!